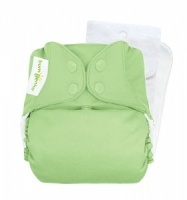 This two-in-one product carefully cleanses and gently cares for a baby's skin and hair. Extracts from bio-dynamically grown calendula flowers helps soothe the skin and scalp and leaves skin feeling silky soft. Approved by paediatricians and dermatologists. Also ideal for adults with sensitive/delicate skin. Apply a small amount to the body and scalp using hands or washcloth and gently massage. Rinse thoroughly. Ingredients: INCI: Water (Aqua), Coco-Glucoside, Prunus Amygdalus Dulcis (Sweet Almond) Oil, Alcohol, Disodium Cocoyl Glutamate, Sesamum Indicum (Sesame) Seed Oil, Glycerin, Chondrus Crispus (Carrageenan), Calendula Officinalis Flower Extract, Xanthan Gum, Lactic Acid, Fragrance (Parfum)*, Limonene*, Linalool*. *from natural essential oils. Weleda’s aim is to maintain, support and restore human health. What started in 1921 as a pharmaceutical laboratory with its own medicinal plant garden is now the world-leading manufacturer of holistic natural cosmetics and pharmaceuticalsIt is essential for Weleda to act as sustainable as possible on all levels, from the procurement of raw materials to the subsequent treatment as cosmetic and pharmaceutical products, packaging and distribution. Weleda grows medicinal plants and runs its own tincture production facility including further processing of these raw products by means of destilling, extracting or potentiating. All products are sold in a variety of dosage forms such as tablets, ointments, pillules, creams, lotions or syrups. Products for body, soul and spirit for good health and radiant skin. 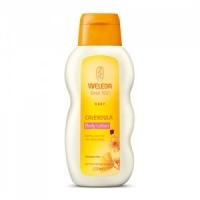 Weleda Baby Calendula Shampoo and Body Wash is the ideal bath-time product. 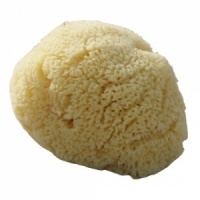 Its natural ingredients help soothe the skin and scalp and leaves skin feeling silky soft. This two-in-one product carefully cleanses and gently cares for a baby's delicate skin and hair. Approved by paediatricians and dermatologists. Award winning!!! - 2012 Loved By Parents Awards - Weleda Baby Calendula Shampoo and Body Wash received silver trophies for Best Baby Bathtime Product (in this category Weleda’s baby wash was up against all sorts of products from bath towels to toys), Best Babycare Product and Best Ethical Product. Gentle on skin and smells great. I have only started to use calendula shampoo and body wash, I find it very good for my hair and body, it as made a difference to my skin, I am very happy with it. I have only used this once, so difficult to give a thorough review. However, it was east to get a lather, and felt clean. The previous product, difficult to get a lather, but my psoriasis has improved!